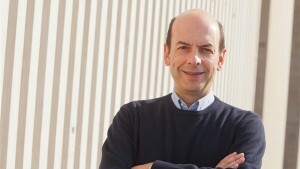 Jordi Galí (Barcelona, 1961) is a very well-known economist for his research in neo-Keynesian models. He obtained his PhD in Economics at MIT in 1989 under the supervision of Olivier Blanchard. Nowadays he is the director of CREI (an adjoin association to UPF) and a macroeconomics professor at Universitat Pompeu Fabra (UPF) and Barcelona GSE. In 2004 he won the Rey Jaime I prize in economics, which is granted every year by the government of Valencia. His research is also focused on business cycles and optimal monetary policy through time series analysis. In 2008 he published one of his best books for the academy Monetary Policy, inflation and the business cycle. The book explains the stochastic dynamic general equilibrium for neo-Keynesian models and it analyzes the implications of those for monetary policy.